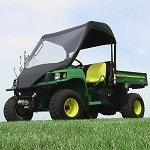 John Deere Gator HPX HUV Custom Hard Folding Windshield is constructed of Lexan Polycarbonate! 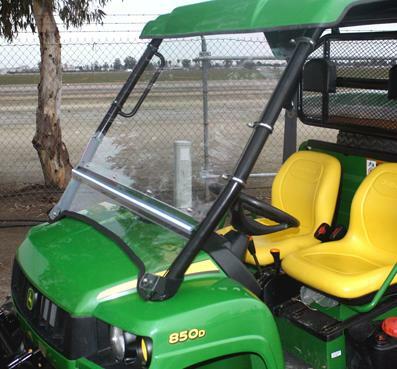 Our 1/4" thick windshield gives you the durability & performance you expect from Mammoth Designs UTV Accessories. Premium rubber gasket runs the length of the windshield to ensure a seamless fit against the hood. 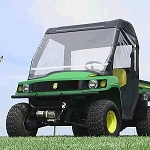 Living hinge runs full width of windshield allowing you to fold up & secure with velcro tabs for increased ventilation. Easy to Install ! Comes w/ installation and care instructions.